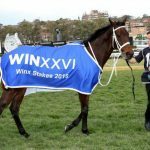 There seemingly aren’t too many records left for Winx to break as she enters her farewell racing campaign, except for one. And it’s a big one. Prizemoney may not be the purest indicator of a horse’s ability and status, but money earned is, for many, what racing horses is all about and by the end of Winx’s racing career in April, she should be on top of the world in a pure monetary sense at least. 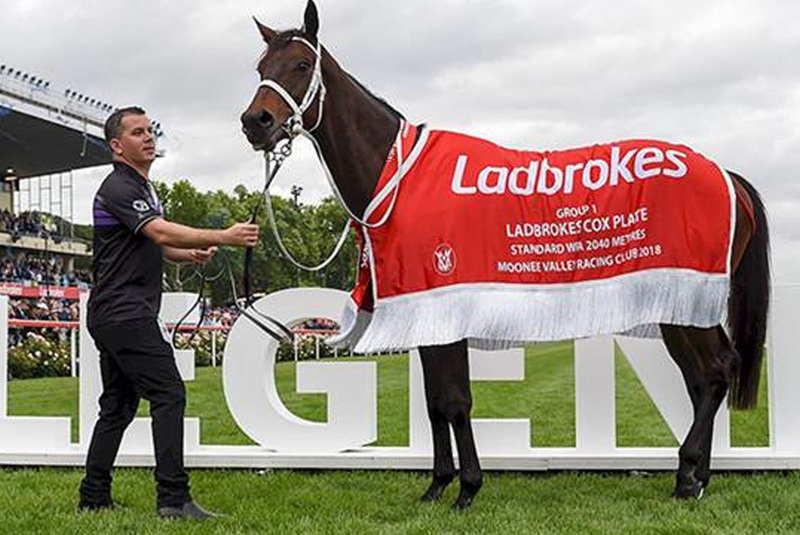 As it stands, Winx has earned just short of $23 million to put her within $1.6m of the world’s highest-ever earner, the retired US champion Arrogate. If she continues her winning run of 29 victories right through to the $4m Queen Elizabeth Stakes during The Championships in Sydney in April, she will earn another $3.4m and by doing so, Winx will establish an international mark that will take some beating into the future. Winx is due to resume in the February 16 Apollo Stakes, where a win will earn her $140,000. She will probably then run in the Chipping Norton Stakes on March 2 where the winner gets $344,000. 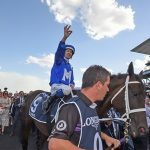 A $580,000 first prize cheque awaits the winner of the George Ryder Stakes at Rosehill on March 23 before finally Winx will race for the $2.32m first prize in the Queen Elizabeth Stakes on April 13. Is lining up for her final racing campaign this autumn after smashing records at will over the past four seasons. Her seemingly endless list of achievements include four Cox Plates, 29 victories in succession, prizemoney earnings unrivalled in this part of the world and the gong of the best racing mare and equal-best racehorse in the world in 2018. Likely to have just four more runs this autumn before the fabulous ride comes to an end. The chief beneficiary of the evolution of The Everest with Redzel scooping more than $12.3m from his wins in both editions of the race. Introduced new people to the sport as was a Triple Crown Syndications horse and therefore has numerous small-percentage owners. Boasts a handy racing record but does not compare class-wise with other sprinters on this list including Black Caviar and Chautauqua, but has made the very most of being in the right place at the right time. The only three-time winner of the Melbourne Cup, Makybe Diva lumped an incredible 58kg to her third victory in 2005. Will be famous forever for her Cup feats but did countless other remarkable things such as winning a Cox Plate, a Sydney Cup, Australian Cup and a BMW among a host of Group 1 races to prove herself the ultimate thoroughbred stayer in this country’s racing history. One of New Zealand’s finest horses, she was the female champion of the Cox Plate until Winx came along. Sunline won two Cox Plates and was narrowly defeated at her third attempt in 2002 before a fourth placing in the race in 2003 spelled the end of her remarkable career. Raced and won overseas and was crowned Australasia’s champion racehorse three years running from 2000-2002. Nicknamed the ‘Fighting Tiger’, Northerly was one of WA’s best ever racehorses. Renowned for racing with a high head carriage as if he was trying to look over a tall fence, Northerly dethroned Sunline as the Cox Plate champion with two wins of his own but also won two Australian Cups as well as lumping 58kg to win the 2002 Caulfield Cup. A most popular grey horse with a heart-in-mouth racing style of dropping back to last and then running over the top of his rivals in the home straight. Won three T.J. Smith Stakes from 2015-17, with the last of those victories etched in the minds of racing fans as he came from a seemingly impossible position on a bottomless Heavy 10 track to score. Gained an amount of notoriety outside of Australia when he produced one of those barnstorming finishes to take Hong Kong’s Chairman’s Sprint Prize in 2016. Was ultimately banned from racing after refusing to be loaded in the barriers. Owners: Dato Tan Chin Nam, Coolmore Stud. A stunning black horse, So You Think first came to prominence in 2009 when he led throughout to win the Cox Plate at just his fifth start. Australians were hoping he could win trainer Bart Cummings a 13th Melbourne Cup in 2010 but he was overrun late to finish third in what was his final run in Australia. Sold to Coolmore in Ireland where he won another five Group 1s as well as contesting some of the biggest races in the world – the Prix de l’Arc de Triomphe in Paris (fourth in 2011) and the US Breeders Cup (sixth in 2011). Black Caviar was the first Group 1 winner (won 15) to go through a four-year career unbeaten. Bought for $210,000 as a yearling because of her huge frame, Black Caviar had her soundness issues throughout her career but was brilliantly managed by her trainer Peter Moody. The closest they ever got to beating her was in England in 2012 when, despite a horror lead-up to the race with bee stings and muscle issues, she prevailed narrowly in the Group 1 Diamond Jubilee Stakes at Royal Ascot to confirm her champion status. A champion and most durable Queensland sprinter who won his first four races in 2010 to signal his abilities and he was still firing at the elite level six years later. Raced in the shadow of Black Caviar for much of his career but still managed to win seven Group 1s and ensured his name would never be forgotten by travelling overseas in 2016, where he recorded a Group 1 Al Quoz Sprint win in Dubai. Was never considered a champion of his age but Criterion excelled in each racing season. Debuted for trainer David Payne in 2012/13 and immediately put juvenile wins such as the Black Opal Stakes and Todman Stakes on the board. Followed that as a three-year-old with wins in the Rosehill Guineas and ATC Derby. Went overseas as a four and five-year-old and gained a placing in the Hong Kong Cup before returning to Australia to be runner-up to Winx in her first Cox Plate win before finishing third in the Melbourne Cup of 2015.